Last week, a bill to decouple greyhound racing from other forms of gambling (House Bill 1145) stalled when it was not brought up for a vote on the final day of the Florida legislative session. This lack of action defeated the bill, despite the fact that it had already been approved by both the state House of Representatives and Senate. This was an important proposal that would have significantly decreased greyhound injuries in the state and reduced the number of greyhounds that endure lives of confinement. Because it would have done so much good, its defeat is heartbreaking. However, the progress we made in this campaign should also give us reason to hope. Our decoupling bill stalled due to purely technical reasons, after greyhound advocates had decisively won the policy debate. In the House, the greyhounds won by an overwhelming 86 to 31 margin, while the Senate similarly supported greyhound decoupling by a solid vote of 25 to 14. Newspapers from across the state editorialized in favor of greyhound decoupling, including the Orlando Sentinel, South Florida Sun-Sentinel, Naples Daily News, Tampa Tribune, and Panama City News Herald. Thousands of grassroots activists in the Sunshine State called, e-mailed, and visited with their lawmakers on behalf of the greyhounds. These grassroots supporters were the heart of our effort, and our success was due in large part to their participation and commitment. Through this effort we also discovered new allies for the greyhounds, including compassionate lawmakers who are committed to fighting for the dogs. 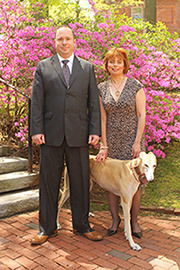 Most notably, State Representative Dana Young proved herself to be a powerful advocate of this common sense bill, and the greyhound protection community owes her a debt of gratitude for her hard work. 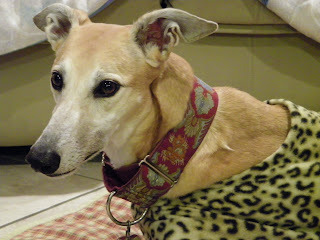 I am also grateful for the work of the Greyhounds First Coalition, a joint effort by animal protection groups and adoption organizations including Greyhound Adoptions of Florida, USA Defenders of Greyhounds and the National Greyhound Adoption Program. While greyhound breeders were using scare tactics with lawmakers, these groups demonstrated true leadership. They let legislators know that greyhound decoupling is an opportunity to help even more dogs find loving homes, and they were prepared to step up and participate in the transition. Despite this temporary loss, it is inevitable that greyhound racing end in Florida. Since 1990, tax revenue from live dog racing has declined by nearly 97%, and many tracks are losing money on dog races. At these tracks, greyhound racing only exists because the state mandates that a set number of live races be held in order to offer other forms of gambling. This mandate has effectively become a state subsidy for greyhound breeders, creating an artificial market for their failing businesses. Greyhound racing will also end because it has lost public support. More people know about the cruelty of greyhound racing than ever before, and lawmakers are responding to this increase in public awareness. The question has become when, not if, greyhound racing ends in Florida. So while I grieve the dogs that could have been helped by this year's decoupling bill, I also know that as greyhound advocates our best days are ahead of us. Thank you for all you did in Florida to bring us so close this year Carey! It was an amazing journey, sometimes filled with hope and elation, and sometimes filled with frustration and anger. And although the outcome was not what we had hoped for, you are right, the end is near for greyhound racing. It's tragic that more greyhounds will die this year at the hands of the industry that breeds them because our lawmakers couldn't get to our bill in time. But that just makes us more committed to coming back next year and fighting even harder. And we will. We will do it for all those dogs still sitting in cages at this very moment at tracks all across the state. They are counting on us. There will be many in the UK more than a little disappointed. Although the demise of greyhound racing will come we would all prefer sooner than later for the dogs' sakes.